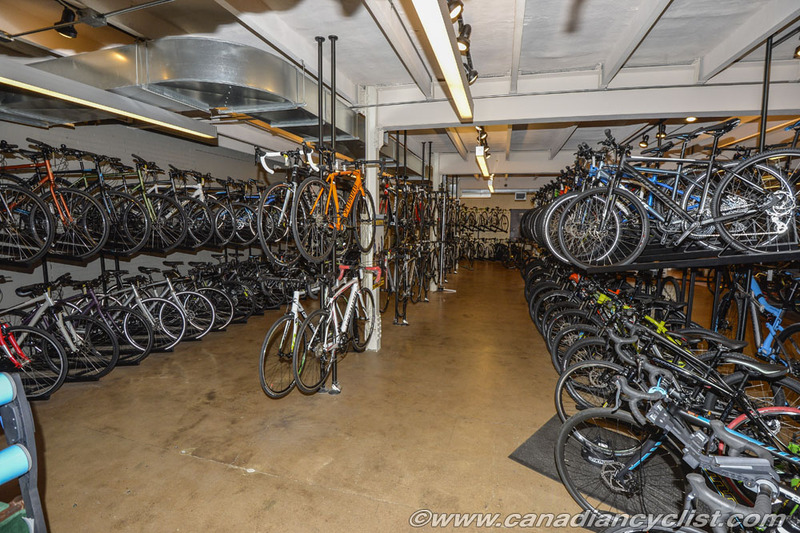 At the beginning of the month we announced the bike shops that you, our readers chose as the Canadian Cyclist Best Bike Shops of 2015 [see Daily News - The Winners]. We wanted to visit a few of our winners to give you an opportunity to see what made them favourites, and we have begun with Liberty! Bicycles in St Catherines, Ontario. Liberty! 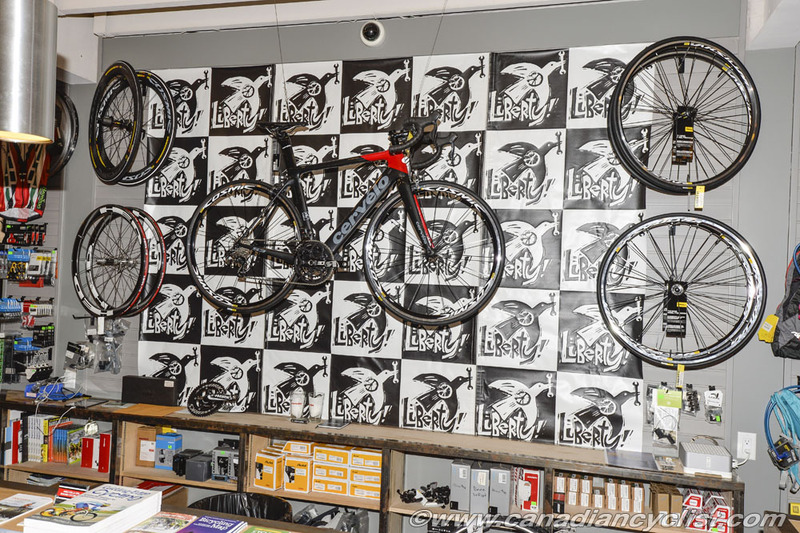 Bicycles is a first-time winner in our Best Bike Shops awards. We stopped by on Tuesday to present them with their award and take a tour of the shop. Founded in 1992, Liberty! suffered serious fire damage in 2009 when the building next door caught fire and fire fighters were forced to break through the shared wall from the Liberty! side to put out the fire. "I was in France at the time and had to race back," explained owner Kurt Gwisdek. "They [fire department] had to knock down the wall and just threw the bikes everywhere. Basically all our inventory was damaged." 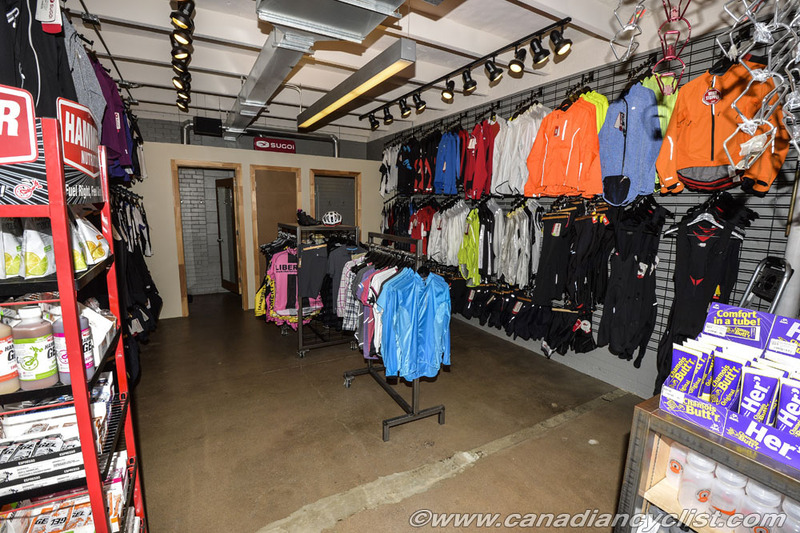 The shop was closed for nine months, but the silver lining was that they purchased and moved to a much bigger location - an 85 year old three story, 15,000 square foot, warehouse building that has been renovated to a bright and friendly place. 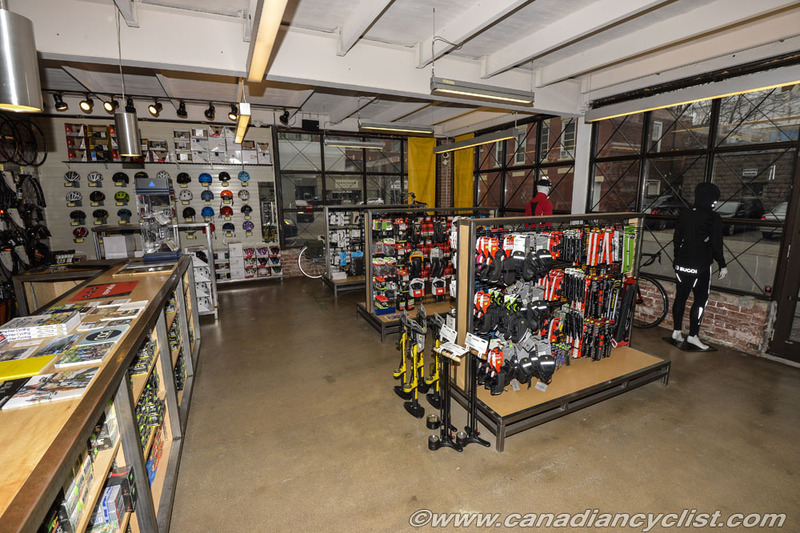 The main floor includes all the sales departments, with the counter in front as you come through the front door, the Parts & Accessories to the right, bikes to the left with an open shop area at the back and next to that a Bike Fit department. It is a very clean and professional look, open and inviting, without the cluttered look that many shops suffer from. 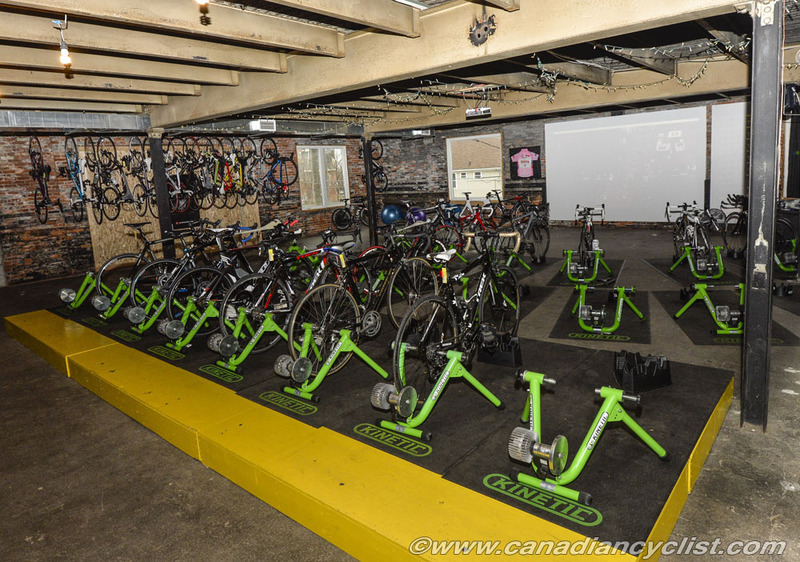 Downstairs is storage and upstairs is a big indoor training centre, with a full wall screen to show videos. At this time of year, there sessions going pretty much every day. Liberty! covers the full gamut of bike styles, from hybrid to road to mountain, plus a few electric bikes. Kurt says that this year there has been a surge in hybrid sales, while the road market is feeling the slowdown hitting most of the North American market. The main brands are Specialized, Cannondale, Kona and, most recently, Cervelo. One area where Liberty! 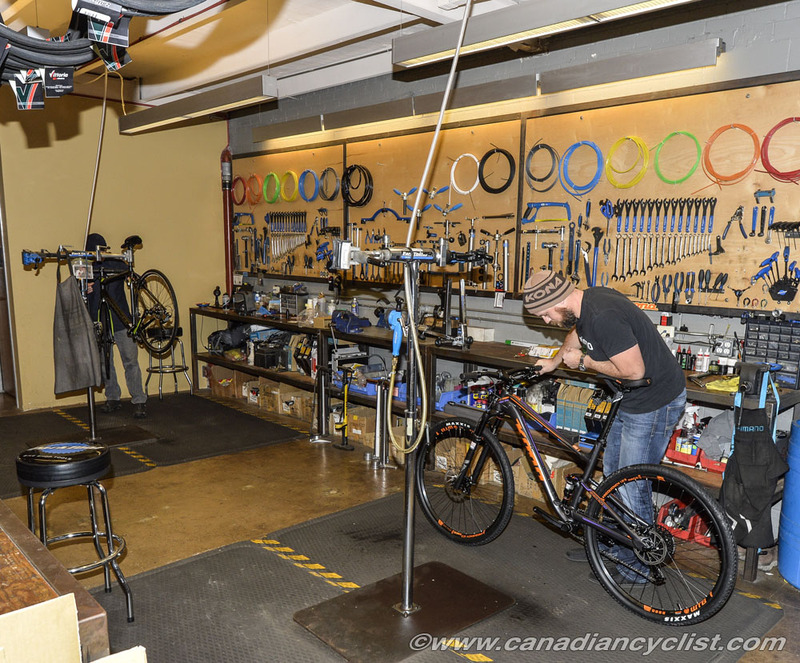 has made a big investment is in bike fitting, with Kyle Rempel running that area. 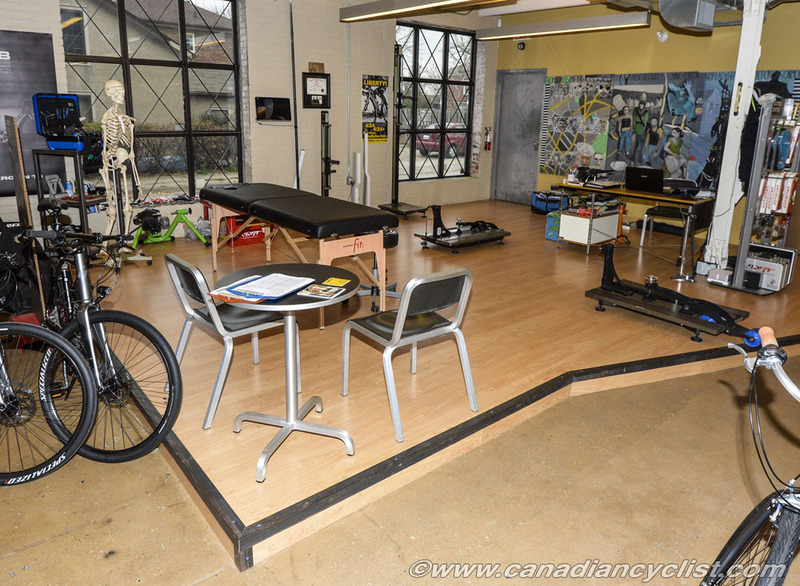 Kyle is a kinesiologist, as well as full certified in bike fit by Specialized. He says that everyone who buys a bike goes through a fit session, to make sure that they can get the most out of their bike. He also spends a fair amount of time working with people on saddle selection. • They are active in the community and have a staff that rocks! Their winter "spin" classes cannot be beat. • Female staff, Specialized bikes, amazing customer service, indoor trainer sufferfest rides, community partner ... And so much more! • I am a woman and relatively new to cycling. 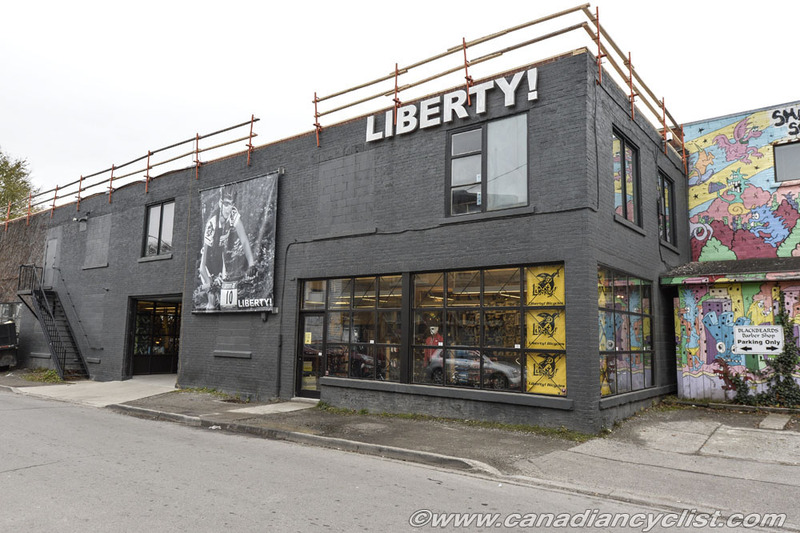 Liberty was always wonderful with me when I went in asking questions, looking at bikes or picking up stuff my spouse had asked me to grab for his bikes. I always felt welcome there and they never made me feel like I was asking stupid questions! They have great staff and awesome customer service. I miss them dearly now that we live 3 hours away! • Kurt, Kyle, and the gang are always there to help me and my family out with all of our biking and gift needs. • The people - Kurt, Kyle, Connie, Derek. Very knowledgeable, fun, community minded, they organize great races and events, and group rides too (even a Halloween ride!). This is type of loyalty is a testament to Kurt and his team. Congratulations to Liberty! 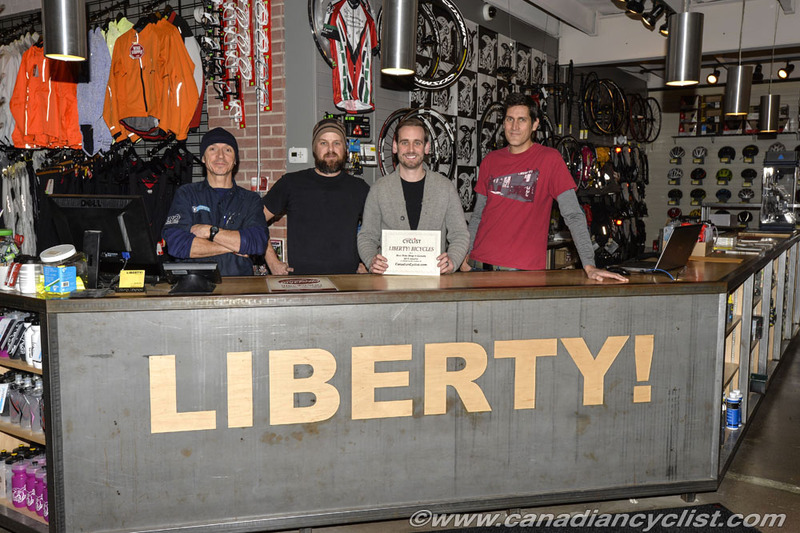 Bicycles, one of our Canadian Cyclist Best Bike Shops of 2015!